Aegis Power Systems is an experienced USA-based manufacturer of power supply solutions for industrial, commercial and military applications. We provide high-quality standard power equipment as well as developing custom products for your unique application requirements. We specialize in ruggedized, mission-critical power equipment that is ideal for harsh environment and unmanned systems applications. The products below represent just a sample of our capabilities. Get in touch today to see how our team can provide an innovative solution for your power conversion needs. Our DC-DC power supply and conversion products have been designed to meet a variety of input and output specifications, as well as UL and mil-spec requirements. 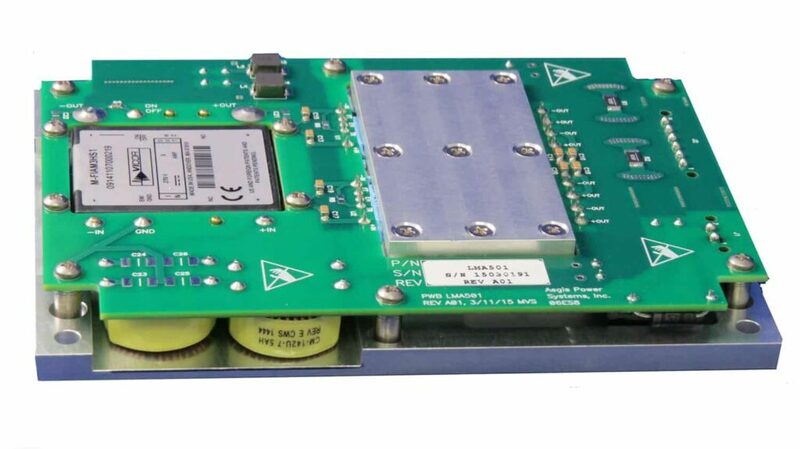 The LMA501 is a DC-DC power converter card that can provide continuous operation with an input of 270Vdc, as per the MIL-STD-704E/F specification. It provides a single 28Vdc output with a maximum power output of 750W. The LMA501 is also designed to meet portions of the MIL-STD-810F vibration and shock and MIL-STD-461E EMI requirements. The 300E is a DC-DC power converter that takes a high voltage input of 300Vdc and provides a single 28Vdc output with maximum power of 3700W. CanBus is available as a communication option. 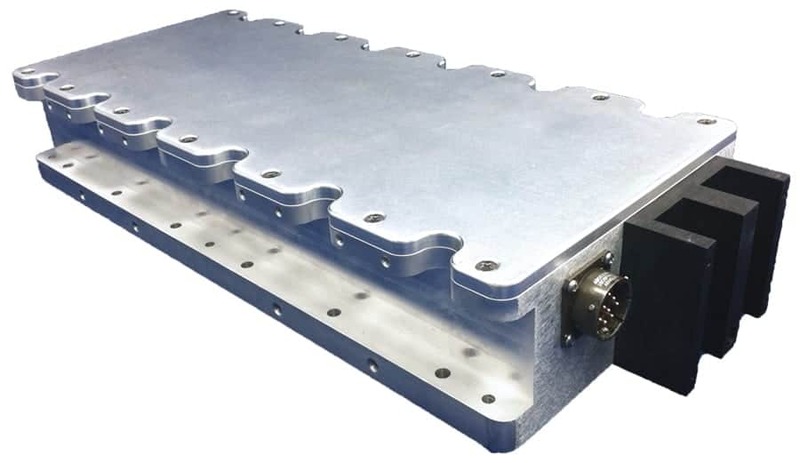 The 300E features a ruggedized IP67 rated enclosure and is designed to meet portions of the MIL-STD -810F environmental and MIL-STD -461F EMI specifications, making it ideal for military or industrial electric vehicles such as unmanned ground vehicles. The HY2714A is a DC-DC converter power supply that takes a 28Vdc input and provides five outputs for customer use (+5Vdc, +3.3Vdc, +/-12Vdc and +24Vdc) plus a 12Vdc fan power output, with a total available power output of 1679W. 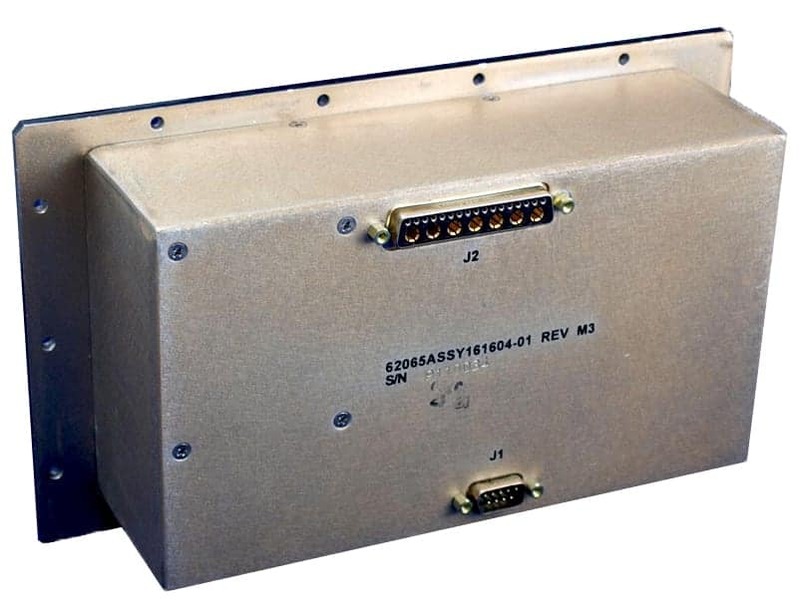 Ideal for military aircraft electronics applications, this unit is housed in a metallic enclosure and is designed to meet MIL-STD-810F environmental and MIL-STD-461E EMI specifications. Our single phase power supplies are suitable for a variety of applications and meet a wide range of UL and mil-spec requirements. The 1PH60A is a single-output AC-DC power supply converter card that can be factory-configured to provide one of five possible outputs (+5Vdc, +12Vdc, +24Vdc, +28Vdc, or +48Vdc), with 400W, 600W or 650W of power available depending on the output voltage. The 1PH60A is designed to meet portions of the MIL-STD-810F Environmental and MIL-STD-461E EMI standards, making it a rugged and reliable power solution. The CS7061A is a quad-output AC-DC power supply that converts 115V AC power into four DC outputs (+5Vdc, -12Vdc, +12Vdc, +24Vdc). Depending on the output voltage, it can deliver 18W, 48W, 72W or 300W of power. 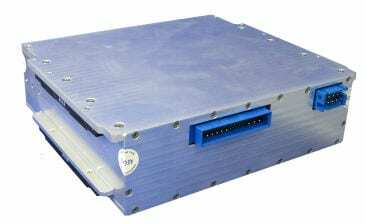 Enclosed in a conduction-cooled metallic case, the CS7061A is designed for manned and unmanned aircraft, as well as other defense and military power supply applications. The HR2303-01 is a multiple output power supply that converts 120V AC power into three DC outputs (+5Vdc, -12Vdc, +12Vdc), with a total of 810W output power. The three power modules are removable and can be configured so that one module provides N+1 redundancy. The HR2303-01 is rack-mountable and features six internal cooling fans, overvoltage protection, over temperature protection, and output short circuit protection. Our three phase power supplies are designed for higher load applications, providing high reliability and almost constant power. The NRA301 is a multiple output AC-DC power supply that takes in 208Vac and provides one +29Vdc output, two +28Vdc outputs and one +5Vdc output, with a total output capacity of 4505W. The NRA301 is ideal for ruggedized military applications and has been designed to meet portions of the MIL-STD -810F environmental and MIL-STD -461F EMI specifications. 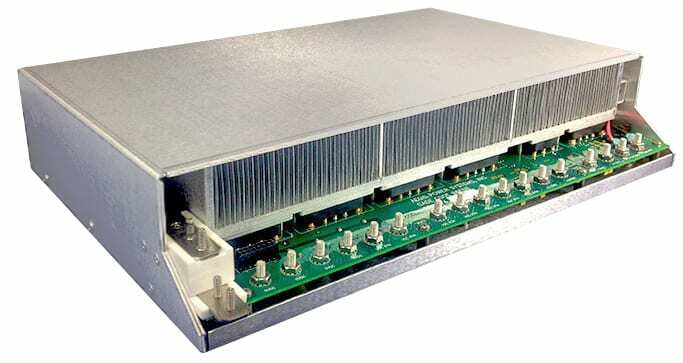 The CWA401 is a chassis pluggable multiple output AC-DC power converter that takes in a three phase AC input voltage of 115V or 208V, and delivers three DC outputs (+3.3Vdc, +5Vdc and +12Vdc) with a total output capacity of 750W. The unit features an internal temperature sensor and each DC output has monitoring for voltage and current, with all data accessible via an I2C communication bus. 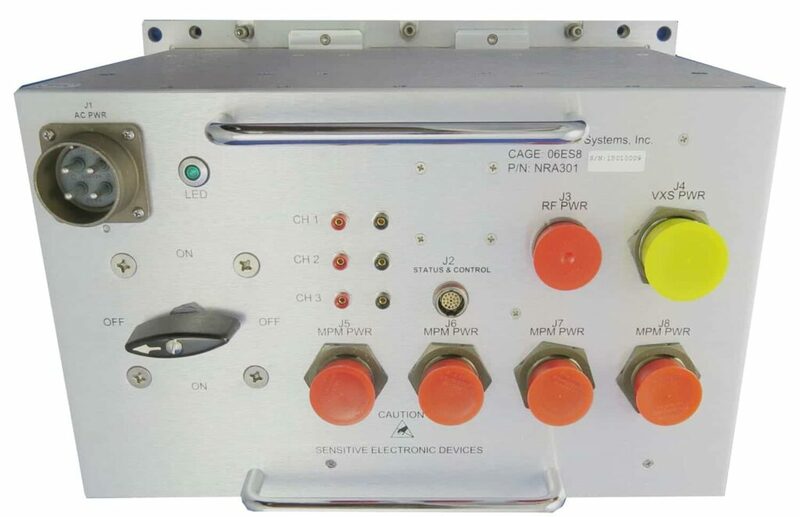 The CWA401 is ideal for military applications and has been designed to meet portions of MIL-STD -704A input, MIL-STD-810F vibration and shock, and MIL-STD-461E EMI requirements. Our converter cards for VME power supply systems offer highly configurable power solutions that are rugged, efficient and reliable. 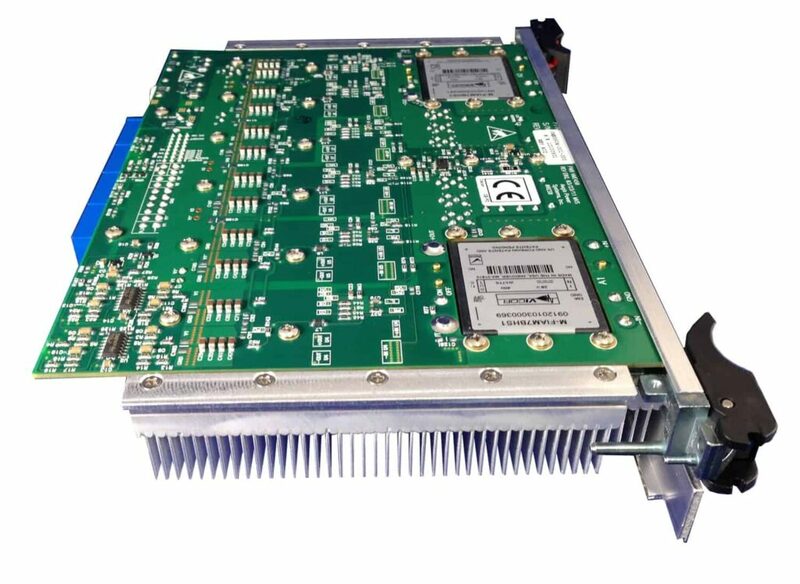 The VME550 series is a range of DC-DC VME power converter cards, each of which provides four different DC output voltages (variations are -12Vdc, +3.3Vdc, +5Vdc, +12Vdc, +15Vdc and +19Vdc) from a 28Vdc input, with a maximum combined power output of 550W. The VME550 series of power cards is an ideal military power solution, designed to meet portions of the MIL-STD-810F vibration and shock requirements and MIL-STD-461E EMI requirements. Our knowledgeable team of engineers can custom-build a power supply for your unique and demanding power conversion needs. Our highly reliable custom power supply units have been used in a wide array of mission-critical applications and harsh environments, including telecommunications, military and defense systems, unmanned vehicles, mobile satellite communications and more. Note: Aegis Power Systems currently only ships products to USA-based clients. By submitting this form, you consent for your details to be sent to Aegis Power Systems Inc. and its authorized partners in order to respond to your inquiry. Depending on the location of the organization, your personal information may be transferred and processed outside of the European Economic Area.